At this time of year, despite the busyness of the approaching holiday season, long summer holidays and end of school year, we often find ourselves looking back and reflecting upon the past 12 months. I have been actively encouraging my boys to do this. Once a week I have special time with each child, and we walk by the water. Regular readers will know I love my walks by the water! On mornings where one child has to be at school very early, the other boy comes with me for a walk by the water before school. It’s a beautiful time together, and a lovely opportunity for us to chat and catch up on things that otherwise might get lost in the everyday busyness of our lives. One of the things we have been talking about over the last week or so, is looking back and remembering the best things that happened throughout the year. Doing this for the whole year in one go felt too hard, so instead, we have been focussing on one month at a time. By reflecting on each month separately, we can really feel into what was special about that time. We started with November and worked backwards, as it felt easier to recall what was most recent. Through this process, we have found that sometimes it is hard for us to remember what was the best thing for a particular month (August, I am looking at you!). Yet other times there have been so many good things in the one month that we have been spoilt for choice in choosing the very best memory from that time. April (moving into our dream home), July (road trip), September (bucket list items achieved and family visiting) and October (family holiday in Fiji) were all months where we had a multitude of things to choose from as our favourite thing for the month. This process of reflection and discussion about our year has been enormously beneficial for each of us. For the children, it is helped remind them of just how much they have to be grateful for, but also what a full and varied life they live. Plus, how much they have accomplished this year in terms of personal growth, achievements, experiences and learnings. I have felt similar emotions, especially so much gratitude for the wonderful experiences I have enjoyed, as well as those we have enjoyed as a family. As a parent, I also have the added joy of not only my own growth and learnings, but recalling and acknowledging the growth and development of my children too. Of course, you can use a very similar approach to reflect upon your year. Allocating time for reflection can be the easiest way to start. Walking by the water and or sharing your reflections with children is optional! 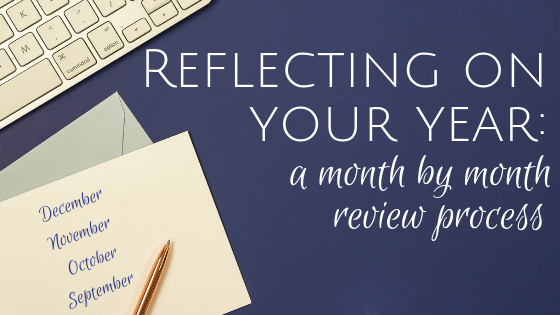 Reflecting on your year is a simple yet powerful way to assess how far we have come in the past year, how much we have grown, key learnings and assess how we have tracked against any goals we set at the beginning of the year. Depending upon how complicated you like to be, reflecting on your year can be a very simple process. You could emulate what I have done with the boys. Simply look back through the year, month by month, and ask yourself, ‘What were the best things I did that month?’. Prefer to go little deeper? Here are some questions to prompt you in reflecting upon your achievements, learnings and growth this past 12 months. Think about each month in turn, and ask yourself these questions. What was the best thing I accomplished, achieved or undertook this month? What did I learn this month? What was a highlight for me this month? What was an opportunity I learned from? Where did I gain clarity? When did I feel confident? It is perfectly possible to do this exercise without paper and pen, as evidenced by the fact that I do it walking with my kids! However, if you wish to make it a little more formal, writing down your answers would be beneficial. The reflecting is important as it informs the next step - the review. Once you have recorded your answers on paper, you can look back, review and see how far you have come in this 12-month period. Once you have noted your month by month achievements, take a moment to look at how far you have come this year. Again, here are some questions to help you tackle the review process. Where were you at the beginning of the year? What were your hopes, dreams and goals back in January? Have you progressed towards these hopes, dreams and goals? If yes, how do you feel? If not, why do you think that is? With hindsight, what events or experiences helped you gain clarity? What surprise successes have you had? What unplanned things ended up being great? Where did life surprise you in the best way? What did you learn this year about yourself? Write your answers down in a journal or notebook. Hold onto them as they will be valuable when looking at your plans, goals and dreams for the coming year. This reflection and review process is very important in terms of our own well-being. Often, we get to December, and find ourselves looking back on the year, feeling it has been a blur of nothing but overwhelm, struggle and challenge. We are particularly apt to feel this way if we have been through significant change or have felt that we were not as happy as we might have liked to be overall. If your year has been full of change, upheaval and at times felt downright challenging, reflecting upon the past 12 months and seeing how much growth and learning you have experienced is even more important. By reflecting and reviewing, we often realise we have achieved more than we give ourselves credit for! Indeed, through the process of reflecting we can come to realise we have learnt and grown through ALL of our experiences. And after all, learning new things and experiencing growth is what life is about! When we take the time to reflect and review our year, there is always more to be grateful for than we first realise. And that is a beautiful, powerful and positive way to conclude the year. Wishing you a very happy holiday season! Thank you for your support this year. 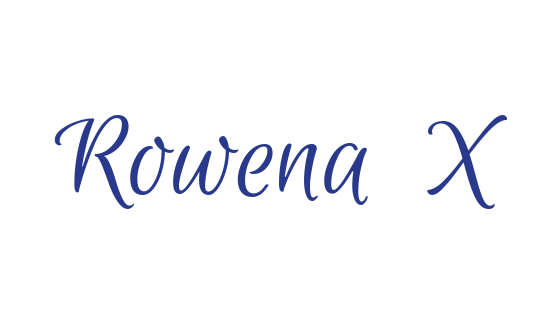 I am so grateful for you reading my posts, engaging and connecting with me on social media as well as subscribing to my newsletter. I look forward to continuing to work with you in the new year. The next blog post (coming in January) will give you tips for setting inspiring and motivating goals for the coming year. The aim is to help you have your best year yet and set you up ready to create a life you love! Keen to get started now? Can’t wait for next month? Check out my Top 3 Tips for Inspiring Goals. It has a wealth of information to help you get underway with goal setting for the new year. Wanting to start with you feeling clear, calm and confident about where you’re headed? I love to support you achieve your dreams and would be delighted to work with you to ensure that you start 2019 with clarity and confidence. However, due to Christmas and the summer holiday break, I have limited availability for client appointments in December and January. Therefore, if you are keen to have a coaching session please book today to ensure you don’t miss out!